Cheer tumbling and gymnastics lessons will be given by Becky Norton at the Memorial School, 86 Intervale Road, New Gloucester. The program will include proper stretching, strength building, tumbling, beam and vault. It’s open to ages 4 through eighth grade, and the cost is $32. The spring session runs Thursday, May 5, to Thursday, June 9, and registration closes on Tuesday, May 3. To register, go to the New Gloucester Parks and Recreation Department Facebook page or contact Director Harvey Price Jr. at 926-4126, ext. 231. “Did You Know?” is the title of special exhibits and programs to be held on Saturday, May 7, from 9 a.m.-noon at the History Barn, 383 Intervale Road, New Gloucester. The history and life of New Gloucester and the local area will be featured along with special guests, music and displays, including the town’s first fire truck. Admission is free to this event that is open to the public. It’s sponsored by the New Gloucester Historical Society, New Gloucester Public Library, Congregational Church Choir and New Gloucester Fire Department. Based in midcoast Maine, Steamboat Gypsy is a band that meets at the crossroads of folk, bluegrass, old-time and country. Craig Hensley on mandolin, guitar and vocals plus Justin Schlawin on fiddle and vocals began playing together in 2010. In 2013, Mariah Sewall on guitar and vocals joined the group and helped fine-tune the group’s vocal harmonies – the hallmark of their sound. And recently a professional jazz musician and multi-instrumentalist, Asher Barreras, joined the Steamboat Gypsy band. Their performance is set to take place Saturday, May 7, 7:30 p.m., at the Vestry Community Room of the First Congregational Church, 19 Gloucester Hill Road, New Gloucester. Admission at the door is $10. Coffee and tea are free, while snacks are available for a small donation. Call 653-4823 for more information. The town of New Gloucester is doing research to find its next recipient of the Boston Post Cane. If you know of a New Gloucester resident who is one of the town’s oldest citizens, contact Kim Getchell, deputy clerk, 926-4126, ext. 1, or email her at kgetchell@newgloucester.com by Wednesday, June 15. Provide the resident’s name, date of birth, and contact information. Registered voters in New Gloucester are urged to attend their annual Town Meeting on Monday, May 2, in the Memorial School gymnasium, 86 Intervale Road, New Gloucester. A voter check-in is to occur at the front entrance of the school gymnasium beginning at 6:30 p.m., and the meeting is scheduled to start at 7 p.m.
Those in attendance will have an opportunity to discuss the warrant articles and to vote on next year’s budget. Town meeting booklets are available for pickup at Town Hall. Trained naturalist and birdwatcher Carol Beyna will lead groups to the fascinating habitats of the Shaker Bog. The bog was originally built by the Shakers in 1816 as a reservoir to power their mills, but today, this 150-acre wetland has become a diverse ecosystem. The combination of woodland and wetland provides an ideal habitat for a wide variety of songbirds, game fowl, woodpeckers and more. Learn to beckon chickadees, nuthatches and other small birds. Possible sightings also include pileated woodpeckers, loons, ducks, Canada geese and hawks. This program is designed for families, young and old, and promises a fun and memorable experience in the Maine woods from 8-10 a.m., Saturday, May 28, at Shaker Village, 707 Shaker Road, New Gloucester. Dress for the weather and wear appropriate footwear for a two-hour, moderate trail walk in the woods. Bug repellent and sunscreen are recommended, too. Bring your camera, binoculars and bottled water. The tour size is limited to 12. The class is free, but pre-registration is required. Register online at www.maineshakers.com, call 926-4597 or email info@maineshakers.com. 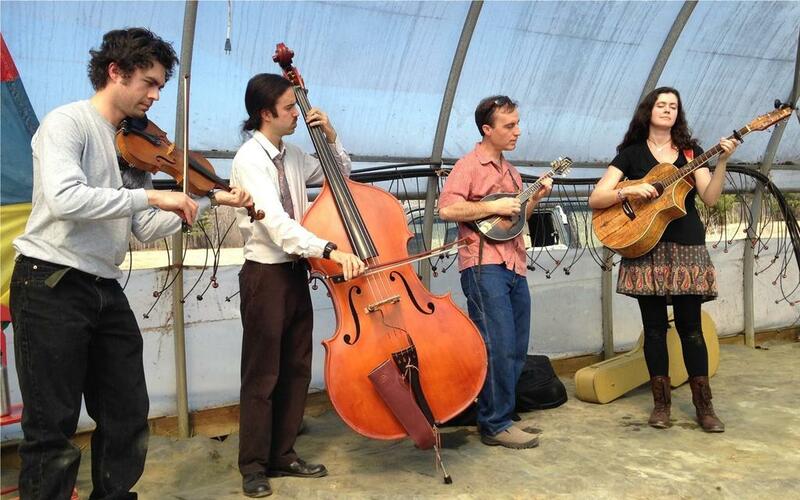 The band Steamboat Gypsy is set to perform at the New Gloucester Village Coffeehouse, 7:30 p.m., Saturday, May 7. The coffeehouse is located at the Vestry Community Room of the First Congregational Church, 19 Gloucester Hill Road, New Gloucester. Tickets cost $10 per person and are available at the door.